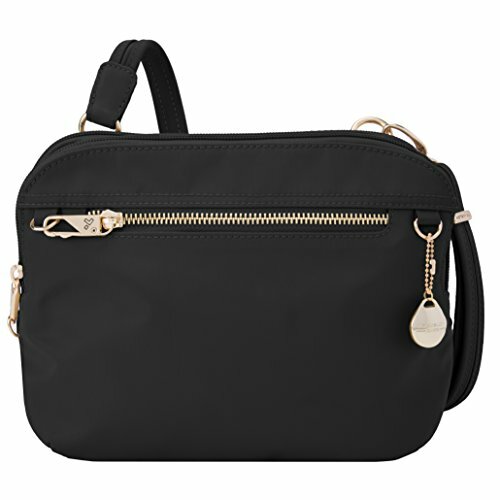 This stylish and functional Crossbody Bag is perfect for travel or outings. It features two locking compartments. The front compartment has a zip wall pocket and a tethered key clip with LED light. The back compartment has RFID protected passport and card slots to keep your personal information secure, three wall pockets, and a zippered center compartment for added security. The slash-resistant, adjustable and removable shoulder strap can be secured to a stationary object to prevent a grab and go. Eco on the Go Reusable Insulated Drink Tote Bag - NO MORE SPILLS!